As 2018 business year runs to a close, Coscharis Motors has lined up unbeatable offers for two of its major brands. The offers are intended for BMW and Ford loyal customers together with new prospects that are potential brand converts from now to the end of December 2018. The offers themed, ‘’Coscharis Unbeatable Offers’’ come in different categories. For the BMW brand, the offer is simply for you to buy one BMW X6 and get 1 MG car for free. Also buy one BMW 2 series and get second at half price. While for the Ford brand, which is targeted at fleet buyers of the Ford Ranger, that is individuals and organizations who buy 10 Ford Rangers get one Ford Focus for free instantly. According to the Group Managing Director of Coscharis Group, Josiah Samuel who while formally announcing all these great offers from the organisation did mentioned that it’s a payback time to the loyal customers of the two brands who had believed in these brands over the years and new converts by way of sustaining the company’s policy of value for money. In his own words, “We understand the harsh economic reality but have decided to support our ever loyal corporate customers and individual customers cushion this reality even at minimizing our bottom-line. These exciting offers are not to only delight our existing BMW and Ford brand enthusiasts alone but to equally accommodate those that have not used any of the brands before courtesy of these juicy offers to end the year by way of exploring this opportunity to own brand new vehicles from any of the brands on offer’’. He enthused further that hitherto, despite all odds with the peculiar challenges within the automobile industry, Coscharis Motors as a leading player in the industry usually runs this sort of promotions at year end or during special seasons to appreciate our numerous loyal customers. It has come to our attention that Coscharis Group is purportedly running an online vacancy advertisement for recruitment to a fictitious Coscharis Mobility Airline Nigeria Limited. Coscharis Motors Plc, the exclusive representative of the BMW brand in Nigeria has commenced the celebration of love with its customers through the Valentine Special promo for select BMW variants starting from February 12 to February 19, 2018 nationwide. The Valentine promo is intended to show its love commitment to customers and prospects alike. We are celebrating this love season with a special price package for the BMW 435, BMW 218, BMW 6 Series and some MINI cars. According to the General Manager, Marketing and Corporate Communications, Coscharis Group, Abiona Babarinde “ in addition to the special price package, we are further offering Free One Year Service Plan, Free Registration and free weekend demo to buyers of any BMW variant within this period”. Similarly, we are willing to convert these fantastic offers to discounts on the cars. Customers will still benefit the existing 2 years warranty or 60,000km whichever comes first and an optional 4 years extended warranty. This is in the continuing quest to offer buyers peace of mind and confidence that they are driving a high-quality product. “Our customers desire the very best love gift that epitomizes style, luxury, prestige, performance and peace of mind, we want to assure them that they can enjoy all these from our BMW variants for their driving pleasure”. Coscharis group the Nigerian conglomerate that plays in diverse sectors of the economy like the automobile, information technology, logistics, beverages, agro – allied amongst others representing globally respected iconic brands in Nigeria has cause to celebrate ending the challenging year with recognitions in terms of various awards across their business interest. Nigeria Car of the Year. To cap it up was when Coscharis carted home three unique awards at the last awards night organised by the Nigeria Auto Journalist Association (NAJA) recently held at the Eko Hotels and Suites, Lagos namely Ford Explorer as the SUV of the Year, Range Rover Vogue as the Luxury SUV of the Year and the Coscharis multi brand showroom at their group head office in Awoyaya, Lagos as the Showroom of the Year. Commenting on all these recognitions by various bodies, an expected elated President / CEO of the Coscharis Group, Dr. Cosmas Maduka said ending an eventful and challenging business year with all these awards couldn’t have come at a better time than now in a glorious way. In his words, ”these awards while stiffly competed for, they are attestations to the organization’s drive to continually deliver value for money and remain timeless in its relevance at all times even despite all the business challenges in the year 2017 which we as an entity was able to turn to opportunities to remain the market leaders in the auto industry and new kid on the block to watch in the agro – allied sector with our Coscharis Farms already producing tons of rice for the citizenry”. He dedicated the awards to the ever loyal customers and the committed service delivery of the Coscharis team across the group. ”This achievement is only feasible because of our loyal customers who believes in us and the entire Coscharis team’s commitment towards delivering premium products and services to continually delight our customers at all times to remain at the top”. Dr Maduka equally posited that the Coscharis brand across the sectors where it plays will definitely strive to double the result achieved in 2017 by the year 2018 to remain the game changer and market leader. To excite her numerous customers, Coscharis Motors PLC, has partnered with Jumia the largest online shop in Africa to present a BlackFriday to remember. As part of the partnership offering, Coscharis has put forward some of her vehicle brands specially to Jumia customers at heavily discounted rates. Shoppers on Jumia will also stand a chance to win a brand new Ford Figo during this Black Friday event. This offers runs from November 13 to December 13, 2017. Click here to see the vehicles on offer. WELCOME SPEECH BY THE PRESIDENT OF COSCHARIS GROUP DR. COSMAS MADUKA, CON AT THE MEDIA LAUNCH OF THE COSCHARIS FORD SKD PLANT IN LEKKI ON FRIDAY, 13TH OCTOBER, 2017. It is my singular honour and privilege to welcome you to this special event, which is to officially unveil our newly built Assembly Plant to you all as our media partners which is the first ever Ford Assembly Plant in Nigeria and indeed the entire Sub-Sahara Africa. It has been a long wait from when we first announced in November 2015 that we had commenced physical structuring of the new Plant sighted on a piece of land of more than 14 Hectares within our Lekki Group head office in Lagos. Thus we are thankful to God that the day has finally come when you all shall witness the actual process of production taking place right here, in the Plant. Indeed it is a dream come true. Coscharis Group have been a great believer on the possibilities that lie ahead in this our great Nation and we have shown courage by the actions that we are taking in investing in the future of Nigeria. Although we are here today, to unveil our newly built Assembly Plant for Ford brand but you are all aware of the giant steps Coscharis Group has taken in the last few years in the Agricultural Sector of our economy. Today’s event is to showcase another initiative from our great organization, Coscharis Motors Plc, to further create value as a leading player in the automotive industry in Nigeria, in response to the clarion call of the Federal Government of Nigeria through the National Automotive Industry Development Plan (NAIDP). This is also to appreciate the confidence that the globally respected iconic brand, FORD, reposed in us as their exclusive official representative in Nigeria to roll out the very first Ford Assembly Plant in Nigeria. This milestone marks another first in the evolution of our company towards remaining timeless in its relevance. The National Automotive Industry Development Plan aims, among other objectives, to discourage the importation of Completely Built vehicles and encourage the local manufacturing of vehicles through either Complete Knocked Down or Semi Knocked Down facilities for a start. We are aware that a few automobile companies have also initiated their process towards achieving this objective. However, at Coscharis Motors Plc, our concern and commitment to our loyal customers and stakeholders is to, as usual, set standards that other players will be judged by in the industry. At the moment, our focus at the Plant is to rollout the Ford Ranger, which is a multipurpose mini-truck that serves well for both work and leisure. As you are all aware, Ford has a global standard for all of its products including the Ranger. Therefore, Ford’s certification of our facility and output is a confirmation that every single Ranger that rolls out of this plant is indeed “Built Ford Tough” from which we’ve rolled out over 600 units from this facility since we started operation; some of which are on display outside. But we will not rest on our oars as we are sure to wax stronger into the future with the introduction of other great Ford variants into the assembly line. It might be news worthy to mention here that this is a capital intensive project, which also involves huge financial, technical and human resources commitment. Therefore the fact that we have ventured into it headlong underpins the level of confidence and hope we have for the future of the Nigerian automotive industry. This is to underscore the human capital opportunities that stand to be delivered in terms of employment and by extension the multiplier effect on the economic development of our dear country, Nigeria. We have always dreamt of a Nigeria that will take its place in the global arena, a Nigeria that sits among the egalitarians in the committee of Nations, taken its rightful place in the pages of history. Our factory is the second ever Ford manufacturing outfit in the entire African continent, outside of South Africa; something we indeed, are very proud of. By this, Coscharis as an organization, reinforces its belief in the Nigerian project that this is the only country we have and absolutely nothing else. So we have taken the challenge for our generation as a result of this huge investment we’ve taken as a strong believer in our dear country as an entity, we can only but demand for governmental support in terms of enabling environment vis-à-vis basic infrastructures that are required to keep the manufacturing process on and more importantly the purchase patronage of the finished products from the Plant. Nelson Mandela once said that sometimes it falls upon a generation to be great and I say we can be that great generation but the only true way to let our greatness blossom is to dignify it via action. It is therefore in reflection of all of these realities and celebration of the future possibilities that lies ahead, that we are gathered here today. Once again, we are highly honoured for honoring our invitation to this special event as I invite you to join me and my team on a facility tour of this our state – of – the – art facility. LAGOS, Nigeria, DATE – In its quest to continually deliver quality aftersales service with genuine parts to its numerous loyal customers, Ford and its sole dealer in Nigeria, Coscharis Motors Plc, is giving out 10% discount on some select ford parts from now till end of September, 2017. This is in line with its commitment to safety and maintenance of its customers’ vehicles at various locations across the country. Cyril maintained that substandard parts will appear to be working while they are in actual sense inflicting more damage on the vehicle. He also averred that Ford genuine parts come with manufacturer warranty and would be replaced under warranty if found to be faulty. 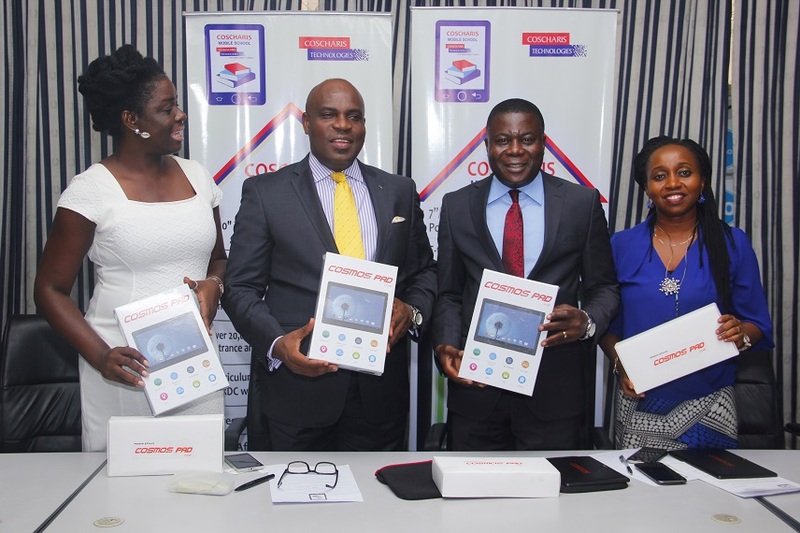 The programme also aims to promote the locations of the various Coscharis facilities that make up a comprehensive footprint in Nigeria, where it has 17 after-sales service centres as well as Certified Parts Wholesale Dealers (CPWD) partners and Ford-backed Quick Lane Tyre and Auto Centres. Coscharis sees this as an ideal programme to build relationships with its Ford customers as their cars will be in safe hands. All the technicians working at the Ford dealerships are factory-trained and Ford-certified. Only genuine Ford or Motorcraft replacement parts and approved lubricants are used when servicing vehicles at Coscharis ford Service Centres. Genuine parts and approved lubricants are also available through CPWD outlets. CG-Eko LLP Training Academy, a sister company to Coscharis Motors Plc, had her first convocation ceremony on Friday, August 4, 2017. The academy convocated graduands from 3 admission batches:1st batch 2013 – 2015; 2nd batch 2014 – 2016; 3rd batch 2015 – 2017. This was made possible through the Public/Private partnership between Coscharis and the state government, resulting in the creation of the CG-Eko LLP Training Academy located in Ikeja, Lagos. Speaking during the joint convocation ceremony at the academy, the President/CEO of Coscharis Group, Dr. Cosmas Maduka said “the main objective of the academy is to deliver value added human resources to fill the vacuum created by the dearth of professional technicians, who are supposed to drive the fast growing automotive industry sector of our economy into a bright future”. He added that “since admitting the first set of trainees in 2013, the academy has successfully wheeled out 41 graduates till date. Majority of the graduands here today have been absorbed into our organisation, some employed by other organizations, while some have become after-sales facility entrepreneurs”. Maduka who was represented at the ceremony by the Deputy Managing Director, Mr. Okey Nwuke also stated that “we are thankful that we were able to contribute meaningfully into your lives via the offering of this training platform and pray that God will grant you the will to put the acquired skills and training into meaning practice for the advancement of the automotive industry in particular, Nigeria at large and humanity as a whole”. He recalled that “when Coscharis Motors Plc, one of our subsidiaries in the group was to venture into the business of selling brand new globally respected iconic vehicles, we were guided by our vision, ”to build an institution that is timeless in its relevance”. In his remarks, the Training Manager, Mr. Sunday Tanimowo who revealed that the first batch of students were admitted August 1, 2013, affirmed that “without any iota of doubt, l can boldly say to all present that the graduands have passed through series of professional hands- on theoretical and practical training in the field of automobile engineering ranging from automobile repairs, service, maintenance, troubleshooting, automobile technology, workshop practice, digital electronics, leadership, management, CRM and product knowledge”. According to him, “in the first batch, 18 started journey in August 2013 but only 17 completed the rigorous training; Next are the second batch graduands: 17 was admitted in August 2014, only 14 were able to complete the race; lastly, the third batch graduands: 14 started the race, only 10 sailed through the journey”. The best graduating student who spoke on behalf of others stated that “the class of 2015 graduated 17 students and 15 were employed by Coscharis group. These students have in their individual ways distinguished themselves in the various departments they have been assigned. “Fourteen students graduated in 2016 and 4 were employed by the company. They too are becoming indispensable players in the after-sale department where they were assigned. “The class of 2017 is graduating 10 students. It is my humble prayer that the management of Coscharis group do consider the exploits and impacts of those earlier employed from the academy and employ these dynamic class of 2017. “Our amiable chairman, Dr. Cosmas Maduka is known for his big heart and accommodating nature and I plead that he stretches it a bit more to accommodate these promising young talented and skilled graduands. To borrow the words of the late Nelson Mandela “A good head and a good heart are always a formidable combination”. Some members of the Management Executive Team of Coscharis Group with 2015 – 2017 batch of graduands at the Convocation Ceremony for Auto Technicians from CG – Eko Training Academy facilitated by Coscharis Group recently in Lagos. The convocation ceremony, which held on Friday, August 4, 2017, was witnessed by a high powered management team from the Coscharis group led by the group Deputy Managing Director, Mr. Okey Nwuke. Micro-SD slot for up to 32GB expandability, Dual SIM, 3G + Wifi, Android 6.0 OS, BT, Front Camera = 2MP, Rear Camera = 5MP, 5000mAH battery, 1 year warranty with Plastic back panel, Adaptor & pouch cover. In addition to the device being user friendly in the Nigeria environment, the installed software applications are customizable to meet the needs of every user, either for pupils in Pry 1 to 6, students in JSS 1 to 3, SSS 1 to 3, or their respective teachers in all subjects. The software runs on Android Operating System(OS) and functions as graphics virtual and video classroom in all subjects across all classes, providing opportunity for the users to repeat and review each lesson as many times as they desire before undertaking inbuilt exams for self-evaluations to determine the progress in learning. The CMS product device and installed software has the endorsement of the Federal Ministry of Education, Standard Organization of Nigeria(SON), National Information Technology Agency (NITDA) among other agencies of Government. Every product integration is in total compliance with international digital best practices in education delivery for learning and teaching experiences. Donor Agencies for the sustainable development of Education in Nigeria. For the first time ever, you can have your wards sit for JAMB and WAEC exams every day from the comforts of your home. There is absolutely no reason why our youths should fail or sit repeatedly for these exams. This is the solution! We are ready at very short notice to stage this unique CMS Product demonstration at the invitation of all identified stakeholders mentioned above, as well as ready to respond with bulk supply of products to any purchase order at very cost-effective rate per unit and attractive discounts. With all pleasure therefore, we respectfully crave your indulgence to request for the your partnership in delivering this unique value to our educational sector by creating the required awareness of our value – adding new product, Coscharis Mobile School (CMS) to Nigeria and Nigerians. While thanking you for honoring our invitation, please accept the assurances of our highest esteem and kind regards!